This Revelation Timeline Decoded page will cover the prophecies in Daniel 2 and Daniel 7, which told us which kingdom would be in power in the end times. To understand Jesus’ Revelation, you need to understand the prophecies that were given to Daniel, as they interlock. Futurists makes up all kinds of stories about end times kingdoms, but let’s simply look at what the Word of God is clearly telling us. Daniel defined five great kingdoms, which would be in power from Daniel’s time, to the end, when Messiah returns. The kingdom of Babylon was strong, courageous and fierce as a lion. overwhelmed the enemy with their size. able to move swiftly like a leopard and were agile in their battles. It was in power during Jesus’ ministry and when John wrote Revelation. resulting in the Roman Emperor being removed in 476 A.D. The 10 toes of Daniel 2, the 10 horns of Daniel 7, was the divided Roman Empire. It then split into 10 civil kingdoms, symbolized by the 10 toes and the 10 horns. The iron/clay feet of Daniel 2, the Little Horn of Daniel 7, is the Roman Catholic Church. of the civil kingdoms (the Heruli, Ostrogoths and Vandals) to be plucked out. Daniel 2 tells us that in the days of those kingdoms, God would establish his own kingdom. During the reign of the Roman Empire, Jesus setup His kingdom, which expanded quickly, even though Satan used the Roman Empire to try to wipe it out. Daniel 2 tells us that God’s kingdom would grow into a great mountain, and this ‘uncut stone‘ would destroy the last kingdom of Rome, at the end of time. Revelation 18 confirms that Babylon (Rome) will be destroyed with a great millstone. The prophecies of Daniel and Revelation declare that Rome is the last beast. If you understand this explanation, you can continue to the next study about the Revelation 12 – Roman Empire Beast. If you need more information, a detailed explanation is given below. Be sure to read the Bible passage first, then read the explanation. The proof that the kingdoms described in Daniel 2 and 7 are the same, is evident. “The number is the same, four in each. The starting point is the same, for each was given while Babylon was the ruling power. The issue is the same, for both are immediately followed by the Kingdom of Christ. The order is the same, for the kingdoms in the first vision, as all admit, are successive; and in the other there are no less than seven or eight clauses which denote succession in time. There is the same gradation, for the noblest metal and the noblest animal take the lead in each series. The first kingdom was Babylon, which was in power from 612-539 B.C. God used Babylon to destroy the temple and city of Jerusalem, and take the House of Judah captive for 70 years, because of their abominations of worshiping other gods. The book of Daniel was written while they were in Babylon, in captivity. This tells us that a ‘beast‘ in prophecy is a great kingdom, which is the same message of Daniel 2, about four pagan kingdoms. The ‘sea‘ in prophecy means a large body of people, so each kingdom rose up out of large bodies of people as they conquered different nations. This lion was found along the processional way from Ishtar Gate into the city of Babylon. The Ishtar Gate was constructed around 575 BC by King Nebuchadnezzar II of Babylon. They had ‘eagle’s wings‘ as they swiftly conquered several kingdoms, adding them to it’s empire, which brought their monarchy to a prodigious height in a short time, as if they had wings to fly. It’s wings once lifted it up above other kingdoms and nations, but the Medo-Persians put a stop to their conquests. The once-fierce beast lost its strength, and became more mild and tractable. Their lion-like courage was reduced to being faint and cowardly like other men. Daniel 5 spoke of the vision which told the Babylonian king that his kingdom was at an end, and would be given to the Medes and Persians. The second kingdom was Medo-Persia, which was in power from 539-331 B.C. Daniel told Nebuchadnezzar that after the kingdom of Babylon would come a lesser kingdom. The silver chest represents the kingdom of Medo/Persia, who God used to set the Jews free from Babylon, to help them to go rebuild the temple, to reconcile with God, and to prepare for Messiah who would offer them a New Covenant. History shows that indeed Cyrus, leader of Persia, set the Jews free from Babylonian captivity, and empowered them to rebuild the city of Jerusalem and the temple. The Mede’s and Persians were a fierce, ravenous people. They destroyed many kingdoms and their hunger could not be satisfied. The Medes first arose (raised on one side) and sent to Cyrus the Persian to come and assist him against Babylon. The Persian army was stronger too. Babylon, Lydia, and Egypt (3 ribs) were oppressed by the Medes and Persians, as the ribs of any creature are ground in the mouth of a bear. Like a bear, their army was huge, up to 1.5 million people, and they overwhelmed the enemy with their size. Daniel stayed in Babylon even after the Jews were released from captivity by Cyrus. The book of Haggai begins by noting that they are under King Darius of Persia. The third kingdom of Daniel’s visions was Greece, which was in power from 331-168 B.C. Daniel told Nebuchadnezzar that a third kingdom shall arise. The bronze waist represents the kingdom of Greece, as Alexander the Great defeated the kingdom of Medo-Persia. Alexander the Great and his Grecian army moved swiftly like a leopard, as they were agile in their battles. They gained dominion over the known world of his day in only 10 years, by the time he was 32. Daniel 8 gives the vision of the Ram and the he-goat, which represent Persia being destroyed and succeeded by the army of Greece. The mighty world-conquering king who overthrew the power of Persia was Alexander the Great of Macedon, and the fourfold division of his kingdom (Cassander, Lysimachus, Selucus and Ptolemy) in the prophecy answers to the course of history. Daniel 10 speaks of the change of power from Persia to Greece. Daniel 11 gives the continuous historical narrative of events of the kingdoms of Medo-Persia, Greece and Antiochus Epiphanes, and then Rome. Antiochus Epiphanes, leader of the Seleucids, the vile person, surrounded Jerusalem with his armies (the abomination of desolation) and killed 10’s of thousands of Jews. They defiled the sanctuary and caused the daily sacrifice to be taken away for 2,300 days (Daniel 8:14). His persecution of the Jews began in 171 B.C. and the temple was cleansed on December 25, 165 B.C., which is 2,300 days. Roman King Herod exalted himself above all gods (leaders). To protect his kingdom, he decreed for the slaughter of the babes of Bethlehem, in an attempt to kill baby Jesus. The Jewish Maccabean Revolt was a conflict, lasting from 167 to 160 BC, between a Judean rebel group known as the Maccabees and the Seleucid Empire. The Seleucid Empire was a Hellenistic state ruled by the Seleucid dynasty founded by Seleucus I Nicator following the division of the empire created by Alexander the Great. The fourth kingdom is Rome, which will endure until Christ returns to destroy it. Daniel told Nebuchadnezzar that a fourth kingdom shall arise. The Iron legs represents the kingdom of Rome which was in power during Jesus ministry. It was different from the others, as they didn’t just war against other kingdoms, but Satan empowered them to war against the saints, killing millions. The two legs foretold that the kingdom would be divided, which occurred in 285 AD when Emperor Diocletian split it into the Eastern and Western empires, the two legs. Military leader Constantine then defeated both leaders and became Emperor over the entire kingdom. Then after civil war, it split again in 395 AD, this time permanently. The dreadful beast represents the Roman Empire. The Roman empire could not be compared to any beast, because it was so terrible in stamping out other people groups and shedding much blood. Iron represents that it was stronger than the previous kingdoms. It was different that the other beast because it not only attacked people in other countries, but it warred against the followers of Christ, as Satan empowered the Roman Empire and he used it to try to wipe out the Church of Christ. During 10 persecution periods from 64-313 A.D., 10 millions Christians were killed by the Romans. It was different because the Roman Emperors also served as Pontifex Maximus, meaning they were not only the political leader, but they were the head priest, the spiritual leader. They presided over the Pagan religious system that worshiped the gods of Egypt and Babylon, primarily the sun god and moon goddess. After the last Roman Emperor was removed in 476 A.D., it split into ten civil kingdoms, which are the ten horns. The Vandals, Suevi, Visigoths, Ostrogoths, Heruli, Franks, Allemani, Huns, Lombards, and Burgundians. Out of the dreadful Roman beast arose the Little Horn of Daniel, the Popes of Rome. The Roman Catholic Church is the Little Horn of Daniel. Out of the ten kingdoms, the Popes of Rome seized power. Vatican City is the world’s smallest country, so a Little Horn = the little country of the Vatican. Three of the kingdoms were destroyed by the Roman Catholic Church, because they wouldn’t bow down to their authority. They subdued and destroyed three of the ten kingdoms, the Heruli, the Ostrogoths and the Vandals. Pope Pius V blasphemed, “The Pope and God are the same, so he has all power in Heaven and earth.” Pope Pius V, quoted in Barclay, Cities Petrus Bertanous Chapter XXVII: 218. Daniel 7:25 describes the actions of the beast, which have been fulfilled by the Popes of Rome. The Catholic Church persecuted the saints, killing over 50 million. Historians estimate that during the Dark Ages and the Inquisition, the Roman Catholic Church killed over 50 million people whom they deemed as heretics, most of which were Christians who dared to own a Bible (which the Church forbid) or proclaimed the Gospel of Christ.. The Catholic Church changed the calendar and law. The Popes of Rome were rising in power in the 4th -5th century, and through Emperor Constantine and others, they decreed the following changes, which oppose the Word of God. They changed the calendar to be based on the Sun, not the moon as God ordained in the Bible. They banned Christians from observing the Saturday Sabbath, and changed it to Sunday, the day of the conquering Sun. They banned observing God’s H0ly Feast Days, and substituted Christmas and Easter, which are based on pagan ritual days. The Catholic Church reigned for 1,260 years, from 538 – 1798 A.D. The ‘time and times and half a time’ of Daniel 7 is the same 1,260 year time period as the ‘one thousand two hundred and sixty days‘ of Revelation 11 and 12, the ‘time and times and half a time‘ of Revelation 12, and the ‘forty-two months‘ of Revelation 13. The Little Horn of Daniel 7, the Popes of Rome, reigned for 1,260 years. 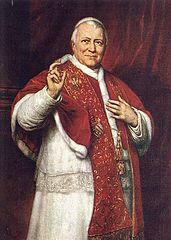 In 1798 A.D. Napoleon’s army marched into Rome and captured the Pope, ending the reign of the Papacy. The fifth kingdom of Daniel’s visions was that of God, which will destroy the Rome kingdom when Christ returns. Our Messiah setup His kingdom in the first century, when Rome was in power. During the time of Rome’s rule, Jesus set up His kingdom which grew into millions of followers in a short period of time, because the Apostles and Early Church were scattered due to persecution, so the Gospel was spread around the Roman Empire. Each of the Apostles traveled to other countries, sharing the Gospel. Paul’s missions expanded the kingdom and established many Churches. Christ’s kingdom, His Church, has continued to grow in size since its feeble beginnings. During the Protestant Reformation, the resurgent Church cast down the strongholds of the enemy, and millions were saved out of the Roman Catholic Church. Daniel 7 describes Christ coming in power to setup His kingdom. Daniel 2:34 tells us how the kingdoms will be destroyed by a stone. This is clearly telling us that the Roman kingdom would be in power until the Lord returns. So it’s not Islam, it’s not the Jews, it’s Rome. Those things are controlled by Rome. A mountain in prophecy is a large people group, so a stone is a smaller group of people. The stone is the Church of Christ, which was established by our Lord at His first coming, which occurred while the Roman Empire was in power. Christians have been conditioned to believe that the antichrist will reign during the end times, and that it won’t be until the Lord returns that the antichrist beast is destroyed. But Daniel is telling us that our Lord will use a stone, His followers, to destroy the Babylonian Roman Catholic Church..
You need to let that sink in, because you have a role to play in the Lord’s army. The enemy does not want you to realize these truths, for when you do his schemes will be exposed and he will be defeated. In another study you will see that in 1514 A.D., the Church of Christ was pronounced dead by the antichrist Roman Catholic church, as they had relentlessly killed them. But in 1517 A.D. the Protestant Reformation was ignited when Martin Luther posted his 95 Theses, and the Church rose up to power and took back control of the nations. Our Lord could defeat the enemy with the snap of His fingers, but there’s no glory in that for Him. He is truly honored and glorified when His obedient followers overcome the enemy. Do you want to be a part of the Lord’s army which is empowered to win the victory for our Lord? Then you need to understand the fulfillment of Daniel and Revelation, so that you are not deceived by the enemy. Here is the explanation of the other chapters of Daniel, which have already been fulfilled, so they are not future. Daniel 9 describes 70 consecutive week (490 years) in which the Jews were released from Babylon, to prepare for their promised Messiah. During the first 7 weeks (49 years) they rebuilt the temple and city. During the next 62 weeks (434 years) there was relative silence from God from prophets, as they prepared for the coming Messiah, who would appear after the 69 weeks. During the 70th week of Daniel, the Messiah and His disciples offered the New Covenant to the Jews first. Then after the 70th week, the New Covenant was offered to the Gentiles too. It is not about an end-times Israeli peace agreement, nor a 7-year tribulation period featuring a one-man Antichrist. Daniel 12 describes the desolation of the Jewish people, at the hands of the Romans from 66-70 A.D., as was prophesied in Daniel 9. Some Jews accepted Jesus as their Messiah, and they were saved. But the great majority rejected Him and delivered Him up to be crucified. As a result, the city and temple were destroyed, and 1.1 million Jews died from famine, pestilence, infighting, crucifixion and by the Roman sword. Daniel 12 is not about end times, 3 1/2 years of Great Tribulation, or a future time of Jacob’s Trouble. Daniel never asked about the end times, he only inquired about what would happen to his people, the Jews, after they were released from captivity in Babylon. All of the visions were about the great kingdoms of Babylon, Medo-Persia, Greece and Rome, as they related to the Jewish people. The fulfillment of the visions in Daniel ended in 70 A.D., when the Roman army desolated the Jews, the city and the temple, as was prophesied in Daniel 9. The only things in Daniel that have not been historically fulfilled is that the Roman beast would be in power until the end, and that God’s kingdom would destroy it. So don’t let false prophecy teachers mislead you and apply Scriptures of Daniel to the end times, because the Word of God does not support that. John (1509-1564) was an influential French theologian and pastor during the Protestant Reformation. John Jewel (1522-1571) was bishop of Salisbury and one of the great intellectuals of the English Reformation. Sir Isaac Newton (1643-1727) was an English physicist, mathematician, astronomer, natural philosopher, alchemist, and also a faithful expositor of Bible prophecy. “But it [the little horn] was a kingdom of a different kind from the other ten kingdoms. . . . By its eyes it was a Seer; and by its mouth speaking great things and changing times and laws, it was a Prophet as well as a King. And such a Seer , a Prophet and a King, is the Church of Rome. A Seer. . . . is a Bishop in the literal sense of the word; and this church claims the universal Bishopric. With his mouth he gives laws to kings and nations as an Oracle; and pretends to Infallibility, and that his dictates are binding to the whole world; which is to be a Prophet in the highest degree.” Sir Isaac Newton, Observations Upon the Prophecies (London: 1831 edition), p. 75. Daniel 7:17 – These great beasts, which are four, are four kings, WHICH SHALL ARISE out of the earth. Could you answer me this: “Which shall arise” is future tense. How could Babylon rise out of the earth when it rose a long time before, not to mention that the Medes would sack it in another 11 years give or take? Hello Elle, thank you for your question. We have to keep in mind that the original text was written in Hebrew and it has been translated into English which is less expressive. The italicized words were added to help it read better. quwm (Aramaic) corresponding to 6965:—appoint, establish, make, raise up self, (a-)rise (up), (make to) stand, set (up). rise up out of the earth. So though the first beast was already in existence, the angel described it to Daniel so that he was clear about who it was, the Babylonian Empire. four kings shall arise out of the earth; or kingdoms; which have an earthly original and foundation; are supported by earthly and worldly means, and with earthly and worldly views; and are different from the kingdom of Christ and his saints, which is not of the world, though it may be in it: this explains what is meant by the great sea, from whence these beasts are said to come up, Da 7:3, nor is it any material objection that the first of these kingdoms, the Babylonian, was risen already, and almost at an end; since the denomination is taken from the larger number; three of them were to arise, and the first was of the same original with them; thus it is said, Da 11:2, that three kings of Persia should stand up, and yet Cyrus, who was one of them, reigned already. Here the angel answers Daniel concerning the four beasts which had been shewn him in the vision. He says, therefore, Four kingdoms arose, and by the name kingdom he means monarchy; for we know that the Persians had many kings until Alexander transferred to himself the empire of the East. Although Cyrus had seven or eight successors, yet the Persian empire continued through them all. And as we saw before, although whatever Alexander had acquired by his arms was divided among his four successors, yet it still remained the Macedonian kingdom. The same thing must be said concerning the fourth kingdom. Although we know consuls to have been created yearly at Rome, yet that government lasted till Julius Caesar destroyed it, and consumed the strength of the empire, so as to surpass by his power the splendid altitude which had been long and widely conspicuous in the world. Hence the angel replied, By the four beasts four kingdoms are denoted: he says, shall arise; and yet the Chaldean had long ago arisen, and was now verging under Belshazzar to its fall. But it was proposed by the angel to teach the Prophet and all the people that there was no reason why revolutions should disturb them too much. The Israelites then saw themselves lying as if dead, yea, actually buried and concealed under the earth. For exile was to them equivalent to the tomb. For this reason, then, the angel announces the springing up of four kingdoms, while the first was then flourishing; but, as I have already said., this suits very well within the scope and object of the prophecy. He had formerly said from the sea, but the word “sea” is used metaphorically, since the condition of the earth was turbulent through many ages. Thank you for your reply. There is still one other problem. Mede-Persia was already given the symbol of the ram and Greece the goat. Why would God switch symbols? I personally feel the 4 beasts are England, Russia, Germany and the United States. The symbol for England is a lion with wings, Russia is known as the bear, Germany for its Leopard Tanks and the United States, as good as she may be, is full of evil. England flew high above all other kingdoms, the sun never set on her territories. Eventually her wings were plucked and she came crashing to the ground and was lifted up from the ground and made to stand like a man with a mortal man’s heart given it. No longer was England high and lofty. England is associated with the symbol of the lion with wings. Russia is lifted up on one side because it expands over 2 continents. The majority of the people live on the European side with its seat of government located on the same side. When the Union of Soviet Socialist Republics were in control from 1922 to 1991, it was a one party state. Could be another reason it was lifted up on one side. The 3 ribs in the mouth tell the bear to devour much flesh. Churchill, Roosevelt and Stalin are the 3 ribs. Eventually Russia was brought down. The bear is the symbol for Russia. Germany is known for the Leopard Tanks, making the leopard the unofficial symbol. Germany became a country January 18, 1871 if that is what is meant by it was given dominion/sovereignty or realm. Could be the dominion given to it was when Hitler ruled. The 2 sets of wings are probably Italy and Japan, they were part of the Axis Powers. The 4 heads could mean the Allied Forces. Germany was divided into Soviet, American, British and French zones of occupation. If the 4 heads do not refer to the Allied Forces, another thought is its reichs. Modern Germany evolved out of a series of 3 empires, with the belief that a 4th could rise. As concerning the rest of the beasts (lion, bear and leopard), they had their dominion taken away: yet their lives were prolonged for a season and time. These 3 beasts had their dominion taken away, but their lives were/are prolonged. Babylon, Mede-Persia and Greece do not exist today, neither does the Roman Empire. England, Germany and Russia do exist today. I will say that Rome never truly died. The United States has adopted a lot from Rome. Our Senate, our coliseums, our pagan symbols plastered in every government institution, etc., are just a few similarities. I believe that the feet that came out of Rome is the United States. Technically, we were settled first by the British peoples, with other European countries to follow. However, Roman influence was brought here. The 7 heads were/are Egypt, Assyria, Babylon, Mede-Persia, Greece, Rome and America. 5 had fallen, 1 was at the time of John and one was to come. E, A, B, M-P, and G were fallen, Rome was and America was to come. The 7 heads on the beast of Revelation 13 are not to be counted as the 7 heads of the 4 beasts of Daniel 7. The Rev. 13 beast is shown to have attributes of the beasts of Daniel 7. The 7 heads all have one thing in common, they all have ruled over God’s people. I just don’t feel the 4 beasts are the same as the first 4 kingdoms depicted in the metal statue. I believe the 4th beast coincides with the feet. The 4th beast has 10 horns, feet have 10 toes. I know the prophecy never singles out the 10 toes by saying 10, but everyone knows that feet have 10 toes. This is what I feel I have been led to by the Holy Spirit. Only time will tell who has been given the true understanding. Thanks for letting me tell my understanding. Hi Elle, I understand what you’re saying about the description of the ram and goat in Daniel 8. Here’s what I know. All of the great theologians through history have taught that the four kingdoms in Daniel 2 and 7 are the same. The descriptions of the beasts in Daniel 7 describe the four kingdoms of Daniel 2. Daniel 7 speaks of a little horn who rose to power out of the 10 civil kingdoms of the fallen Roman Empire. That Little Horn is the Pope of Rome, who took power as the Pontifex Maximus, the leader of church and state in Rome, thus the deadly head wound to the Roman Emperor was healed. All of Revelation points to the Satan-empowered Roman Empire, the Roman Catholic Church and the Jesuits of Rome; as they have fought against Messiah and His Church. The seal and trumpet judgments were against the pagan Roman Empire. The first five bowl judgments were against the Roman Catholic Church. The Two Witnesses of Revelation 11 testified against the Popes of Rome, not some other beast. The Harlot of Revelation 17 is the Babylonian Roman Catholic Church. Revelation 18-20 is about the desolation of the Roman Catholic Church and Jesuits. The antichrist beast is the Pope of Rome. The False Prophet is the Jesuit General. The Jesuits control England, Russia, Germany, the United States and almost every country in the world. hi David I am convinced now that the book of Daniel and Revelation are historical,after reading your commentaries.So what are we now waiting for as signs of the 2nd coming of Christ? if all is Historical.thanks,Tahir.Halil.